Griswold Home Care, a nationwide franchise that provides in-home care services, first came to CallTrackingMetrics looking to close the loop in terms of understanding the full journey of a lead within their sales funnel. Ron Patterson, Vice President of Marketing and IT, and his team wanted to establish an ROI (return-on-investment) for their marketing efforts, which they were able to do by assigning designated tracking numbers for each of their 200+ locations. As they work to expand their franchise network, it’s become increasingly important to understand where all their leads are coming from. “As soon as a call came in on a tracking number, we could associate it with a marketing activity and from there start the process of analyzing how many unique calls we were getting and how that sales activity translated to our overall growth,” Patterson shared. A sample Calls by Source report in CallTrackingMetrics. The Griswold team was able to observe their nationwide PPC and major advertising campaigns and adjust their strategy accordingly, which, partnered with CallTrackingMetrics’ reporting tools, gave them a birds-eye view into how each of their individual franchises were performing. This further informed how they should expand their franchise network in the future. The team has since leveraged the CallTrackingMetrics platform for more than marketing attribution. With contact center tools built right into the platform, Patterson and his team now use call recordings and transcriptions to train new employees and control quality across their corporate offices. Furthermore, they recently started flagging calls based on keywords spoken using CTM’s AI tool in order to rate and analyze their customer conversations and identify words of intent on a call. They hope to eventually tie this back to client NPS scores in order to better report on and evaluate customer satisfaction over time. “The training tools ensure we’re able to provide a better overall experience for clients, caregivers, and prospects,” shares Patterson. These tools also fuel faster growth for their nationwide franchise network, which is a key component of their business. With tools like live listening and call whispers to help onboard new employees faster, their team can expand their franchise network quickly and efficiently. Patterson and his team also recently established a dedicated franchise development page on their website with unique tracking numbers tied to it. That way, they can monitor where the calls and interest are coming from and understand overall volume as they standardize their franchise development procedures. CallTrackingMetrics will be on hand to support their growth in the coming months as they look to expand into even more territories across the United States. Griswold Home Care was founded by the late Jean Griswold in 1982, making us the oldest non-medical home care franchise organization in the country. While we operate in a growing industry with many respected competitors, we are unique. 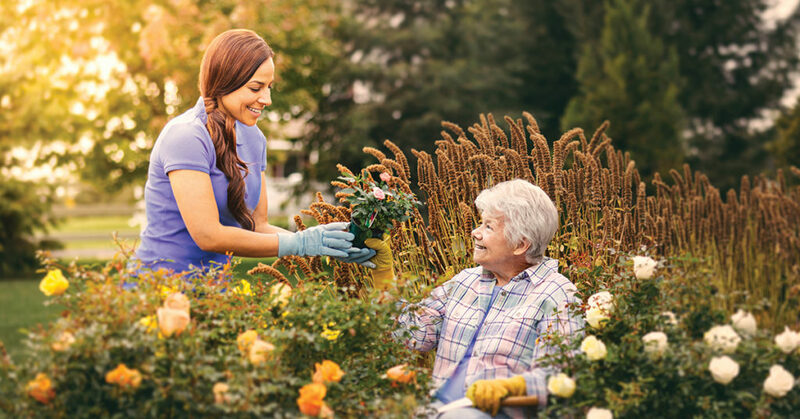 As the category pioneer, we have a unique position and understanding of the business of compassionate care at a deeper level. Our company was built upon the timeless values of compassion and care. Griswold Home Care now operates across 33 states, touching more than 100,000 families. For more information, visit griswoldhomecare.com.